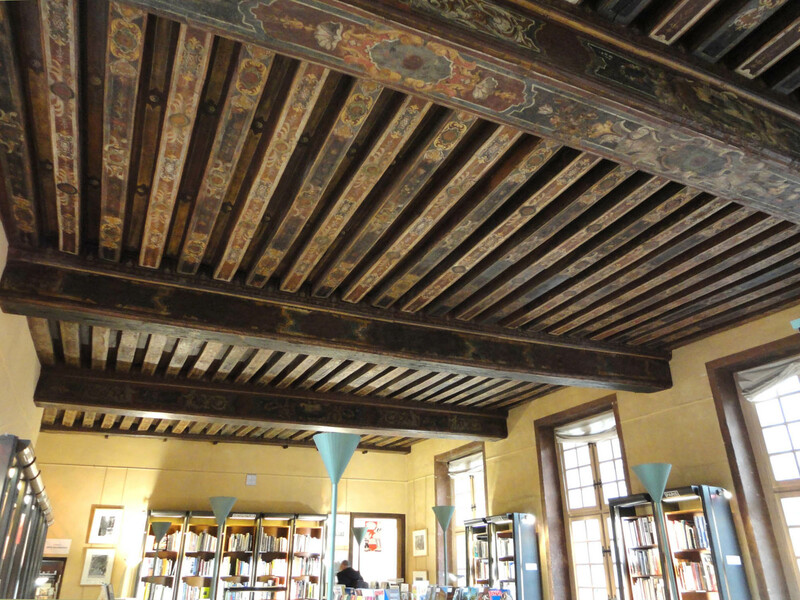 I recently entered a favorite bookstore with my friend Heather, a fellow blogger and Paris lover. The store sits inside a 17th-century city mansion called the Hôtel de Sully, and it’s one I’d visited plenty of times. 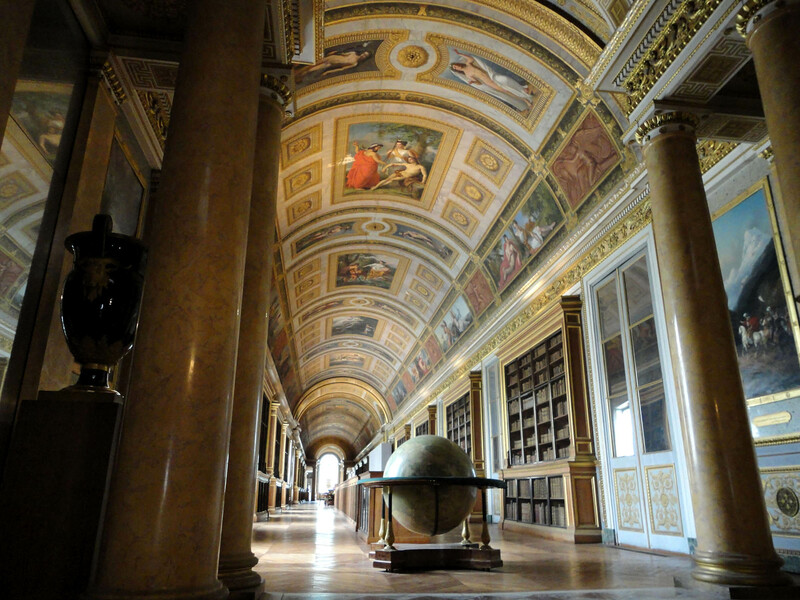 Maybe it was the distraction of the endless shelves of informative Paris books, but when I noticed Heather looking up instead, I realized with a certain guilt that after all these visits I’d never even bothered to check out the ceiling. “How could I have missed that? !” I blurted, perhaps too loudly for a respectable place of commerce. 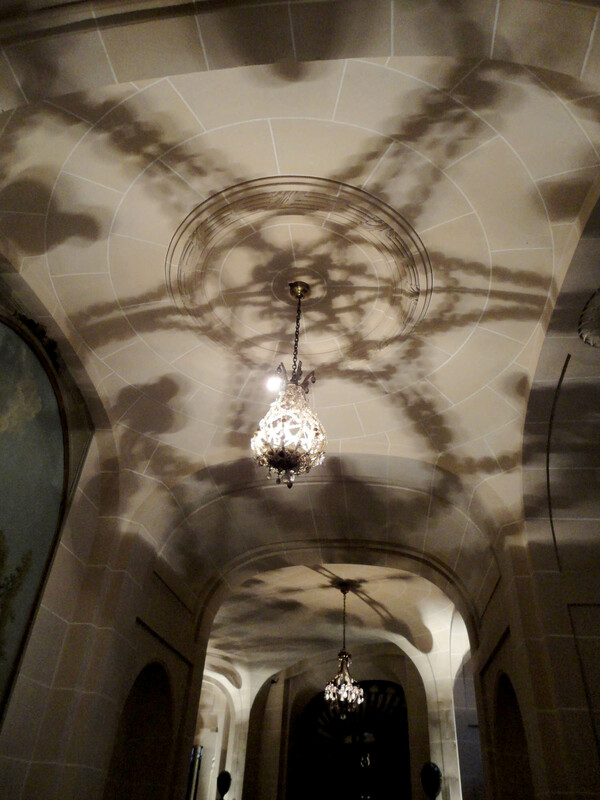 Because I’ve always had sort of a personal maxim: when in an architecturally historical place — always look up! 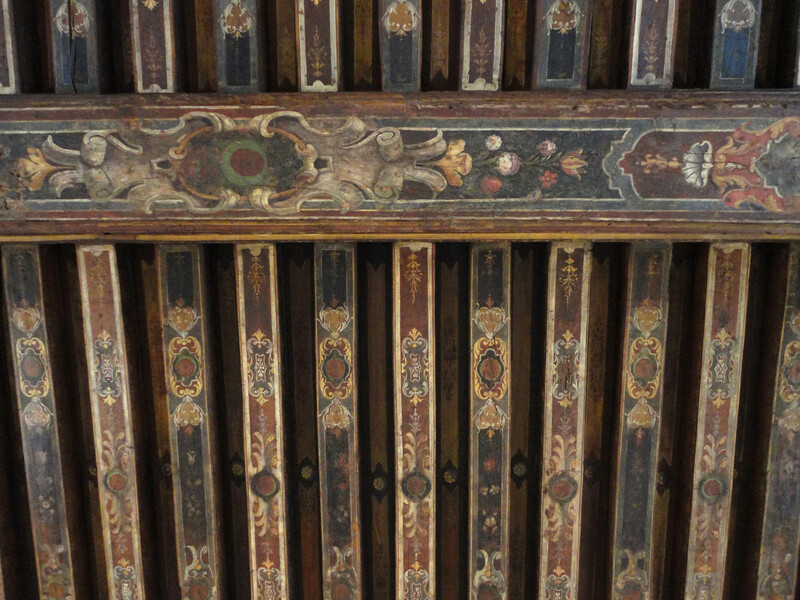 I clearly hadn’t followed my own advice here, passing time and again under what the shop’s employee informed us was an original hand-painted wooden ceiling from 1650. 1650! And I’d been blissfully ignoring it for a couple of years now. Talk about A French Fail in Paris. But luckily for this blog I usually do look up, so this is a good time to take in some of the other fascinating views in Paris that dangle just above our heads. Depending on the locale they can range from Baroque uber-flash to subdued Gothic austerity, from the soft curves of stucco to the slicing lines of riveted iron; in any case you’ll never regret popping a glance up toward the heavens in a city like this. 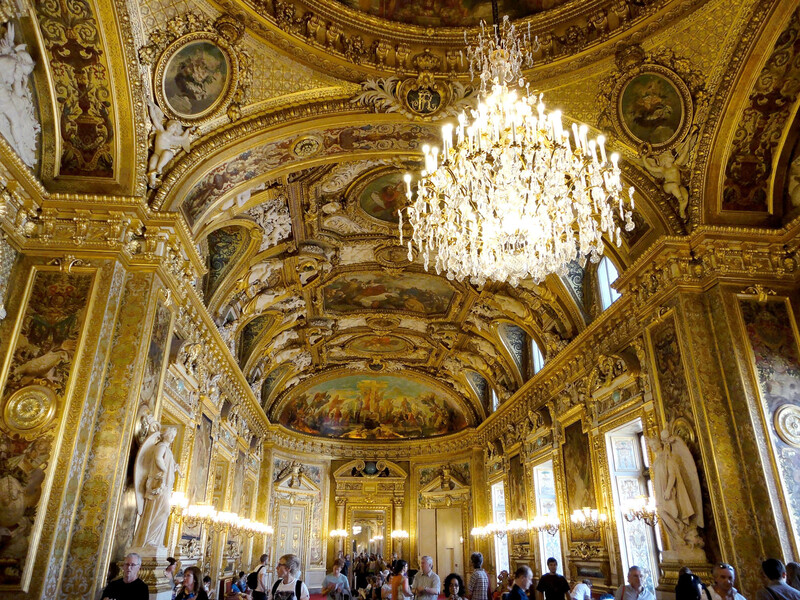 Finally the Louvre, with decorated ceilings that are paradoxically some of the most exquisite around but also the easiest to overlook, on account of the other pretty stuff hanging on the walls. Oscar Wilde once wrote: “We are all in the gutter, but some of us are looking at the stars.” Am I one of these true stargazers? Not sure. But I like to think that by pausing today to admire a detail that yesterday I might have walked right past — by simply remembering to look up — I’m at least pointed in the right direction. Gorgeous. A good reminder that there is so much beauty in Paris, if you aren’t paying attention for even a moment you might miss it! Couldn’t have said it better myself rebecca. Once while giving my sister a tour of the city at night she said “It’s almost too much beauty for one city!” It really feels like that sometimes, although it’s all about what you choose to focus on. For me the ornaments of Paris are an endless source of wonder and inspiration, and I’m extremely lucky to be surrounded by them. Thanks a lot, happy to welcome you aboard! I am incredibly lucky, and one big reason/ benefit of keeping this blog alive is it’s a chance to remind myself of that and not take it for granted. Thanks for your comment and see you on FB! What a great idea for a blog post! And what beautiful pictures! One more example of why it’s a joy to read your blog. 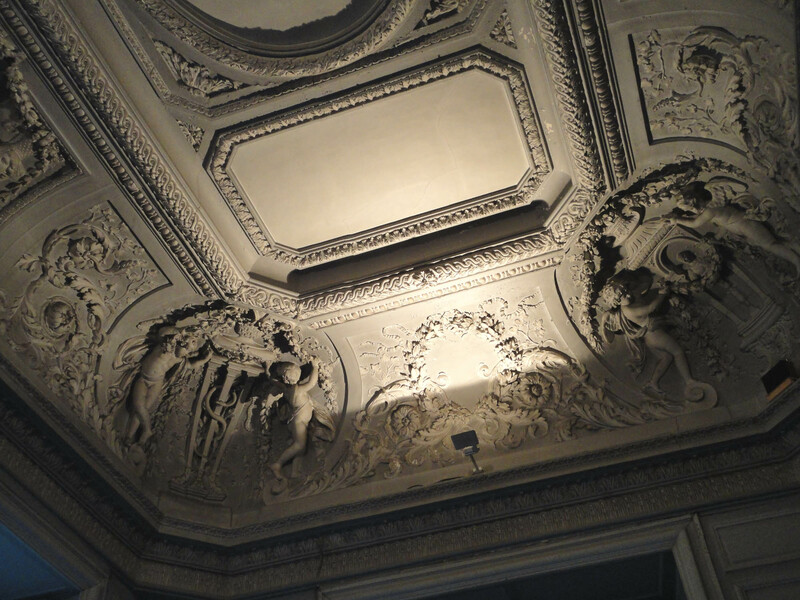 :) In fact, I am honored to think that I accompanied you on *two* of these adventures (if you include the Luxembourg Palace) — though now I find myself wondering what cool ceilings we missed at the Carnavalet. Looks like we have no choice but to go back and find out. Grin. Thanks as always for the kind words Heather. You’re right, I didn’t realize I was including a second joint visit of ours. As you can imagine I had a hard time choosing just one Luxembourg photo; I clearly need to dedicate a whole post to it. We’ll definitely hit up Carnavalet again! I recently discovered the photography of Nichole Robertson. One photo shows graffiti on a Paris wall proclaiming “regarde le ciel.” Since I don’t speak French, except on a very rudimentary level, can you tell me, does that phrase come close to describing this post? How ironic to find both on the same day. 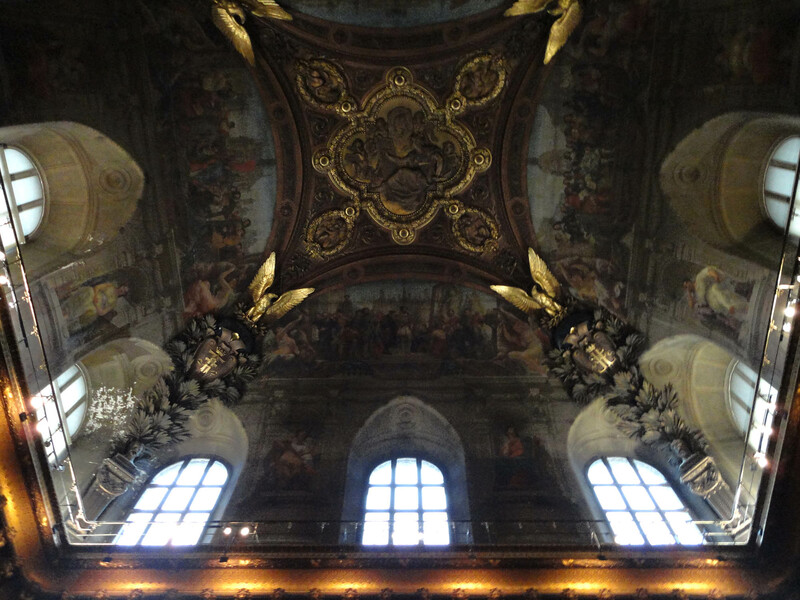 Wow, you’ve got some pretty amazing ceilings here! Good job gathering and posting all at once, that’s a really good idea! Thanks for sharing. Thanks a lot. When you’re a Paris addict like me with hard drives full of photos, grouping them into categories helps to organize the madness, and this post is partly a function of that. :) Glad you liked it! I wonder about the Nissim de Camondo. Perhaps the architectural tricks that created those shadows were planned. If not, what a lucky, happy accident! You’re totally right Dena, I shouldn’t assume that it was by accident. I think I may go back and alter the wording of that sentence. :) Thanks for keeping me honest! Take care. I hope your post-op recovery is going well, all my best! Thanks DE! Glad you liked it. In fact it took all the self restraint I had to not explode this post with my entire collection of ceilings. :) It’s hard to choose sometimes (but I guess that’s a good problem to have). Hope you and your son have a great day! I love this. While I was studying in Paris this summer, one of my favorite things was just how everything looked so much better and so much classier. You wouldn’t find a ceiling that looked half as good as any of these in Chicago unless you went to really significant places like the opera or a cathedral. I love how in Paris,even the simplest buildings have such amazing art everywhere. I totally agree Christine. It’s hard to gush about things like that without sounding snobby, but what you say is true. It’s probably the idealist artsy part of me talking, but the act of putting up all of these thousands of boxy bland apartment highrises…it just doesn’t seem good for the soul. 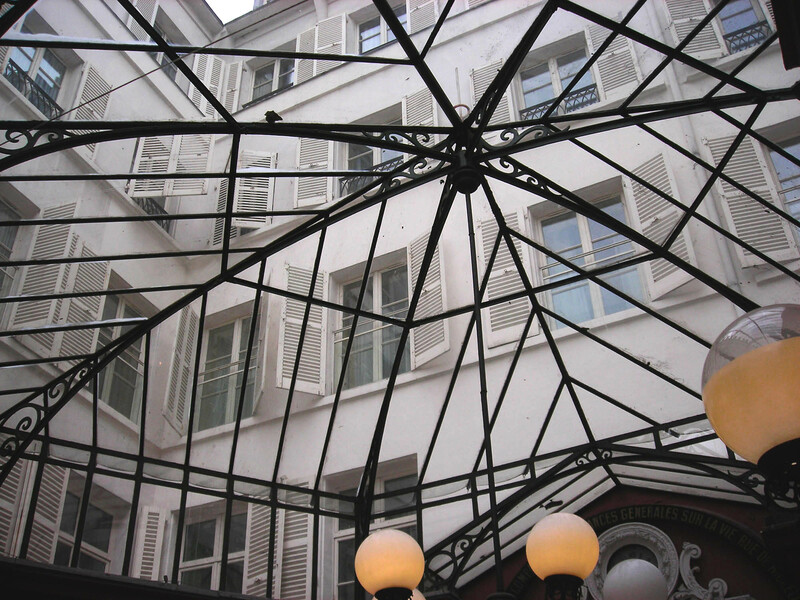 Even in Paris most of the modern buildings are void of any ornamentation whatsoever. I’m not saying everything needs to be full of naked golden cherub sculptures, but a sense of pride in a building’s aesthetic is something you don’t see as much nowadays. And I don’t think we’re alone in thinking this — there’s a reason Paris is a top tourist destination. People want to be moved and inspired by the city they walk through. Thanks a lot Anne. It’s true, the best advice is to just LOOK, no matter what direction. :) I’m glad you liked it. Wow! Stunning! 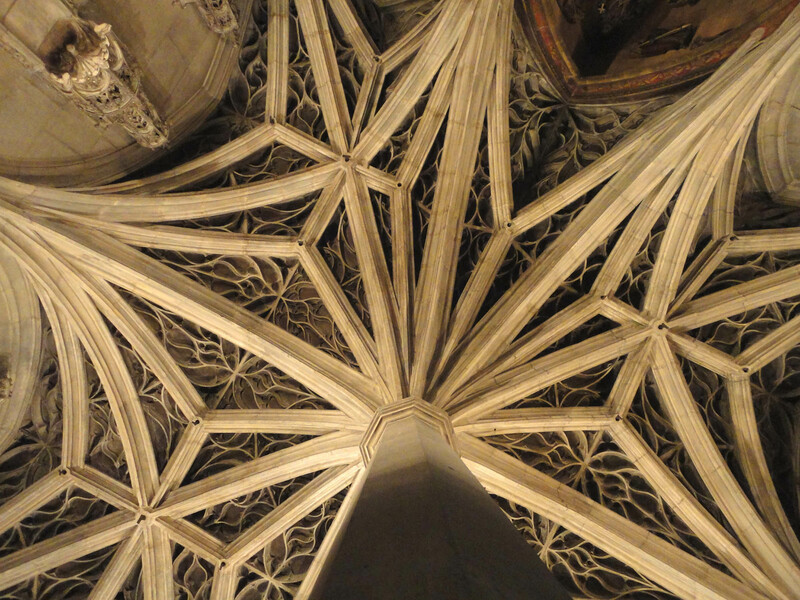 It’s so amazing how much effort was put into design, sculpture, and architecture only a few hundred years ago. So much detail… Today, we seem to think that the simpler and the more bland the better. I don’t get it. Beautiful photos, and thanks for the reminder! 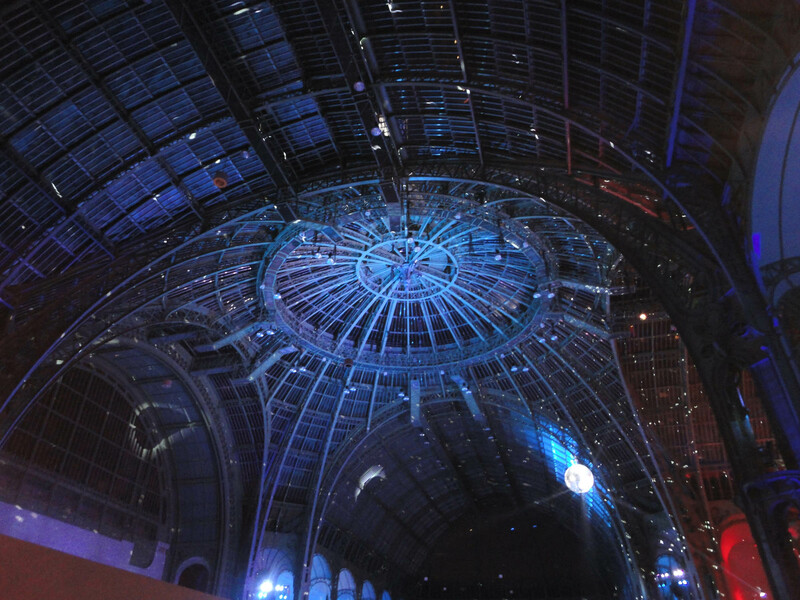 The next time I’m in Paris, I’m going to look UP! Thanks for reading and commenting, glad you stopped by! Any time. I love your stuff! Wow just beautiful! What a great idea for a post, they’re all so intricate and really embody so much of Paris’ character! Thank you. Yes the range of styles is impressive; I could have gone on and on with these photos, it’s endless! 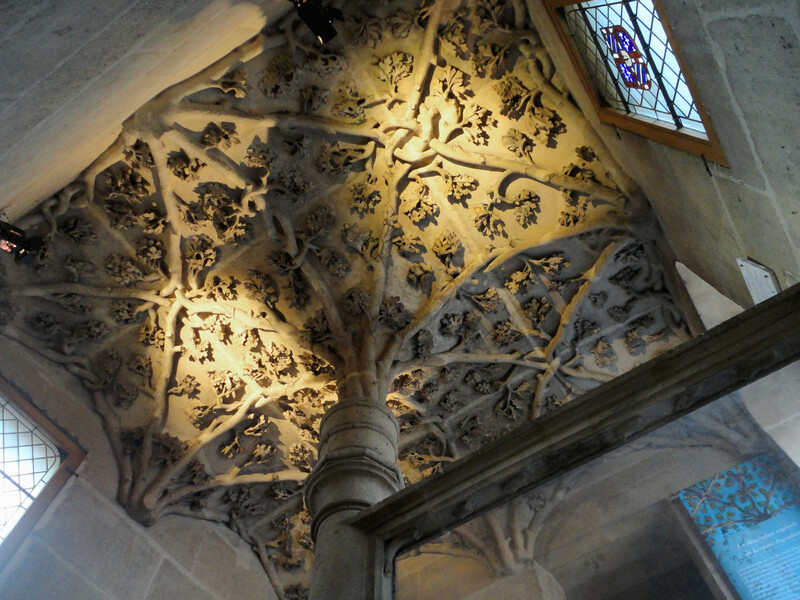 And all this even without including church ceilings which are masterpieces in their own right. I’m still amazed at the sheer volume of eye-pleasing ornaments in this city. Wow, just a beautiful way to look at Paris. Great, thanks a lot for sharing! I hope your readers enjoy it. How beautiful! I’m always amazed at this kind of workmanship, this beautiful art. 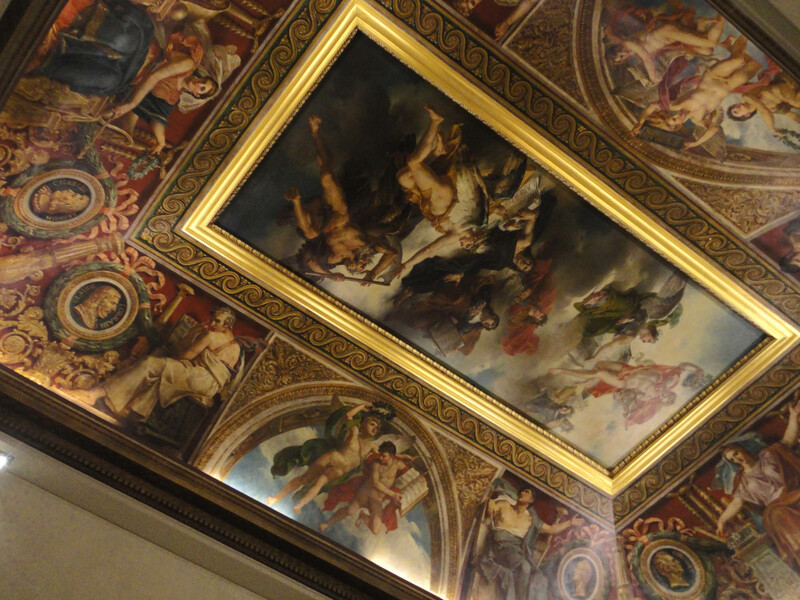 And I’m most amazed that the artists painted this way on the ceilings! They did, didn’t they? I mean it’s one thing to paint a painting while standing at your easel, & then attach it to a ceiling; but to paint it ON the ceiling is something else. Paint dripping into your eyes, your arms cramping, your back killing you. It hurts to think about it. Where’s the Advil? 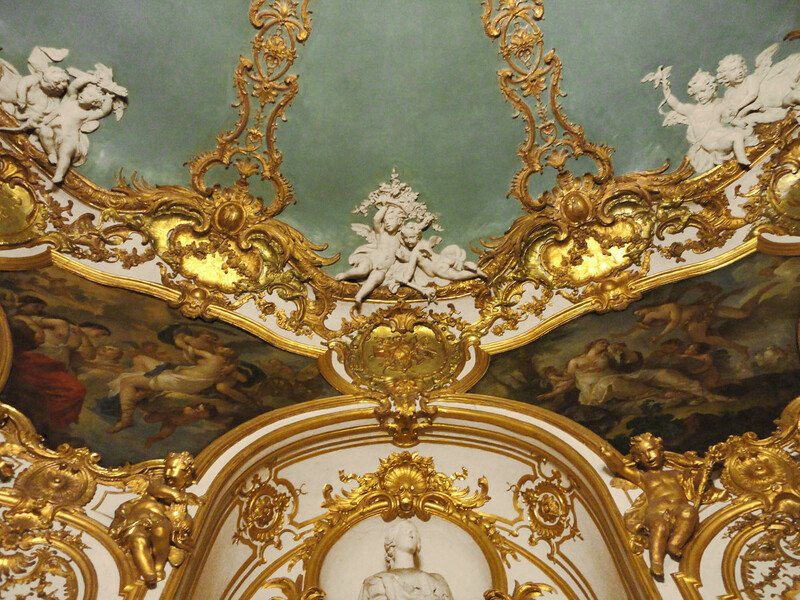 I can’t say that I know exactly how the painted ceilings were executed. 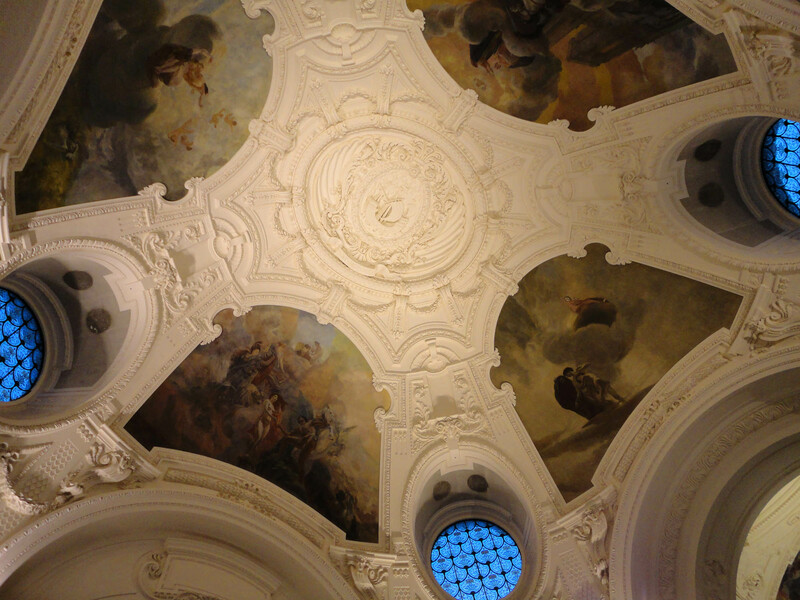 I do know that in the St Sulpice church there’s a chapel with three murals painted by Delacroix in the 19th century: the two on the walls were applied directly to the walls, and the one on the ceiling above was painted normally on canvas and then glued on after the fact. 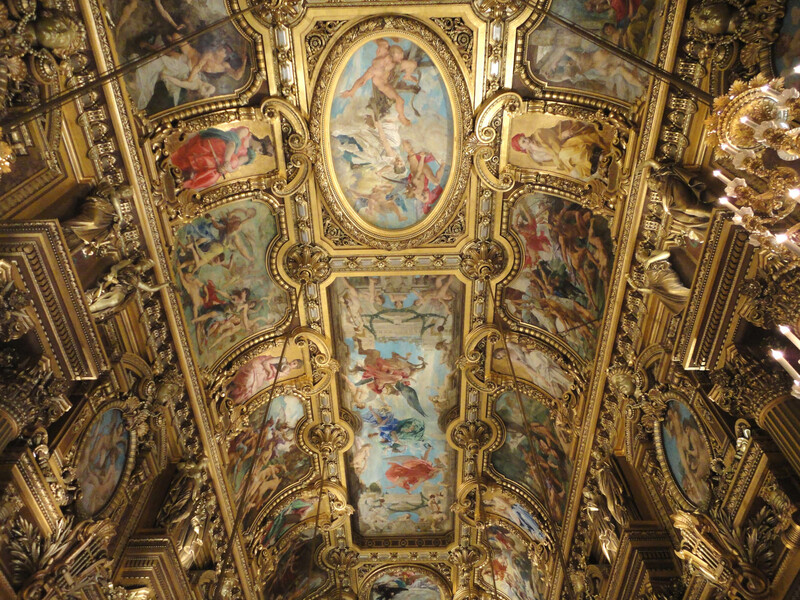 During the Renaissance ceilings were painted on directly (Michelangelo’s Sistine Chapel for example), but as time went on it’s possible that less labor-intensive techniques were used. It’s definitely food for thought. Thanks for your thoughtful question Marilyn! For sure! Hope you survived the storm over there in the Northeast! Wherever you are – eyes up! It’s good for the soul. What an appealing, transfixing writing style you have French Frye. I feel like I’ve had a little wander around your city tonight…albeit with my neck craned and gazing upwards. Thank you! You’re quite welcome. Thank you for the great compliment, you’ve made my night! Ah London…I dream of walking through those streets! I visited once, but only for a few hours during a long layover. I didn’t even have time to grab some fish and chips. :( Can’t wait to go back one day. Thanks for your thoughtful comment Jarrett. Yes it’s true that in some places Mother Nature plays the part of sculptor, and it can be equally as stunning and inspiring! Paris is a paradox for me because the more I dig into its history the more I see ignorance, brutality, and injustice play out on its streets..but these same streets are lined with some of the most beautiful architecture and sculpture on Earth. Paris has a real duality in that sense. Nice blog. Love the pics. Such beautiful ceilings. Yes, doors–also a noble obsession. I once saw a group of “door people” walking the streets of Paris. I almost joined them! Once when my brother visited the city he photographed all the lions he saw; there are enough of those to keep a person busy as well. Thanks for your comment, and thanks for reading. P.S. 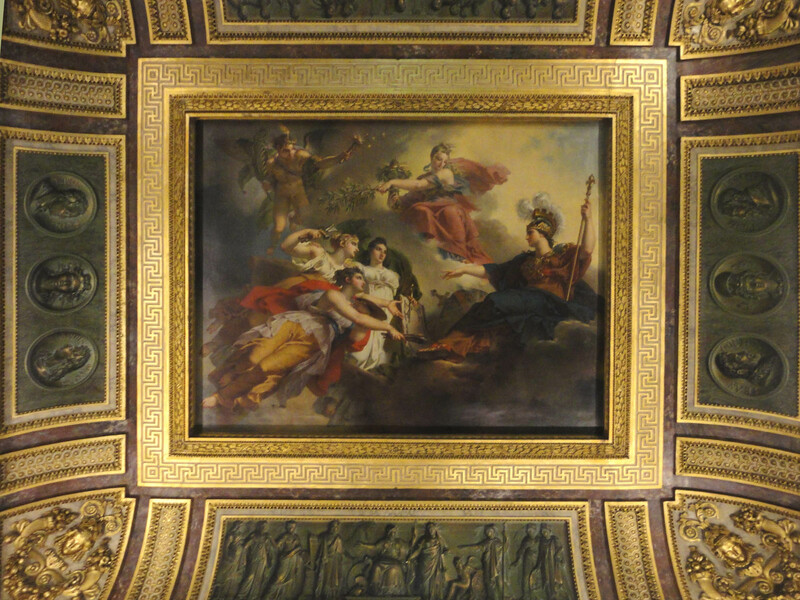 I was just in the Louvre today and saw a bunch more amazing ceilings, it’s crazy! Thanks, I certainly did! That museum amazes me every time. So, in an effort to catch up on all of your blog posts so that I haven’t missed a single one, today I came across this one and almost had to laugh at the following statement: “The FB page will be a chance to share these smaller discoveries as I find them, and we might even build a bit of a community in the process.” You’ve definitely built more than a “bit” of a community, and I know your frites are so thankful that you have!! Did you ever imagine that it would become what it has?? How amazing and how wonderful – you are living the dream of so many of your followers, and it’s clear that this is what you were meant to do! Merci, Corey, for your love for Paris, and for sharing it with us all! Hi Laura, wow this post was 5 years ago! Yes it’s safe to say things have changed since then. The response to my recent projects has exceeded my expectations at every turn, and I feel a lot of gratitude for that. The frites are fantastic and they fill my world with positivity every day. The least I can do is pay all of you back by sharing as much of Paris as I can. Thanks for this lovely comment, and espcecially for making the effort to go into the blog archives like this! All the best to you.